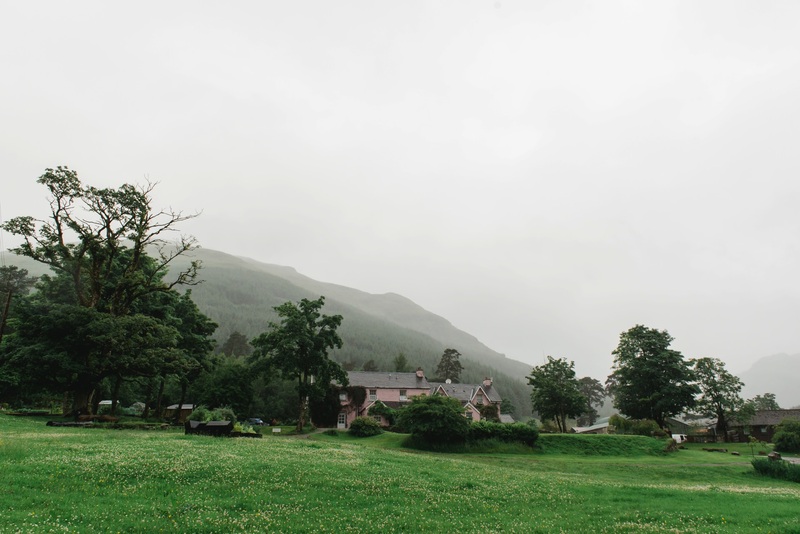 Rainy and wet Monachyle Mhor Barn Wedding. 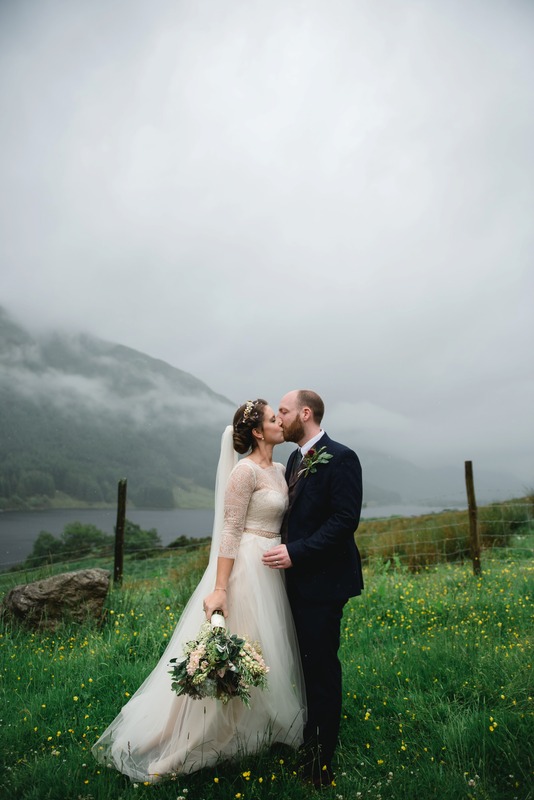 Another of my brilliant weddings that I need to share with you is Emma and Mark’s day in the barn Mhonachyle Mhor in Balquhidder. It is one of my favourite venues to shoot at. 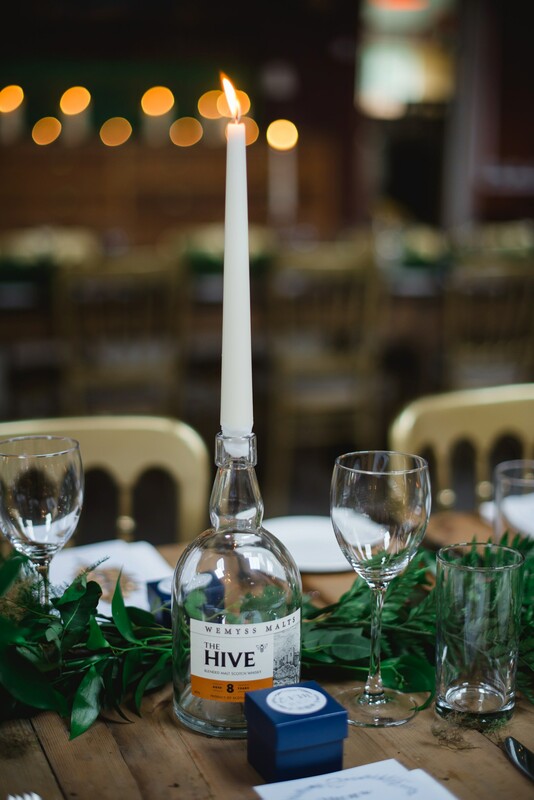 Unfortunately Emma and Mark’s plans for an outdoor wedding in the courtyard had to change when it would not stop raining. 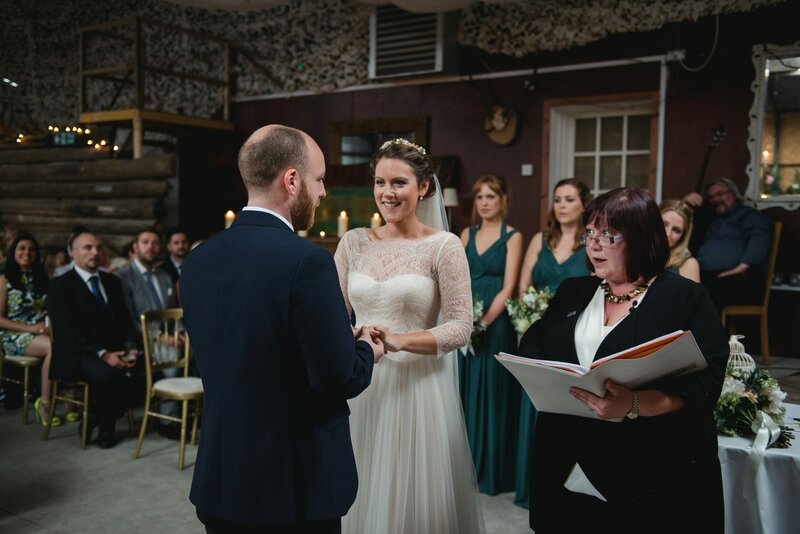 A last minute change of plan on the wedding morning meant that the ceremony took place in Monachyle Mhor’s barn. 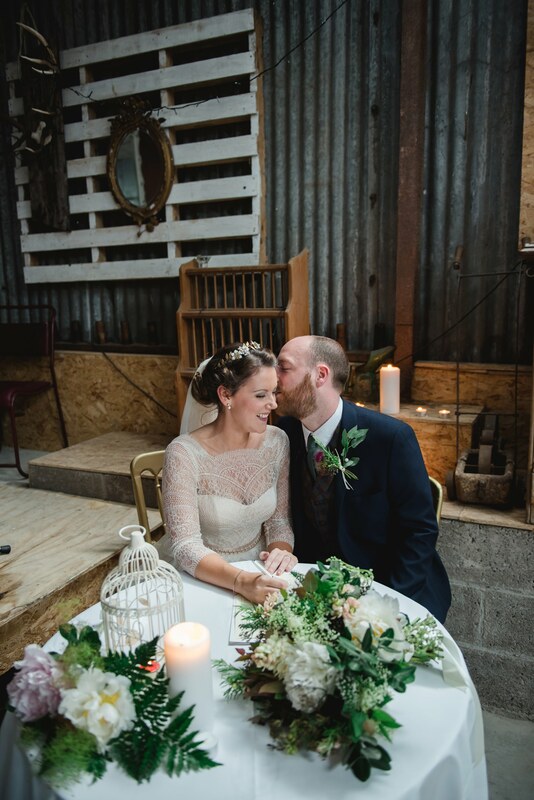 The light in the rustic barn is amazing and you can personalise the room with your own ideas. 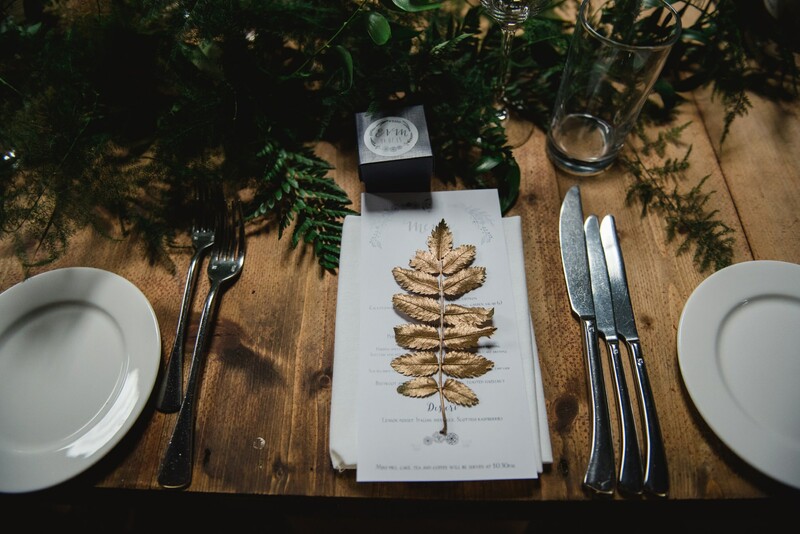 Emma and Mark had a woodland inspired wedding. 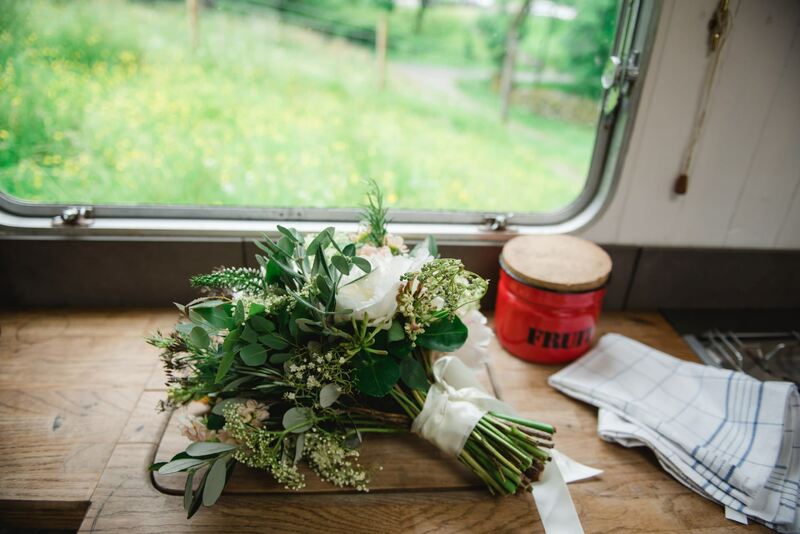 The flowers were by the incredibly creative Green Pea Studio. After the ceremony the rain still did not stop. So we took the family photographs inside, then headed to the vintage caravan with Emma and Mark for some couple’s shots. We really hadn’t done the beautiful setting justice before dinner. My partner in crime and fellow rain dodger was the nicest guy in the wedding videography world, Barry Best from Worldy Nomad Films. We saw a break in the weather during dinner and a quick wave to Emma and Mark they put on their wellies and headed out for some photographs. 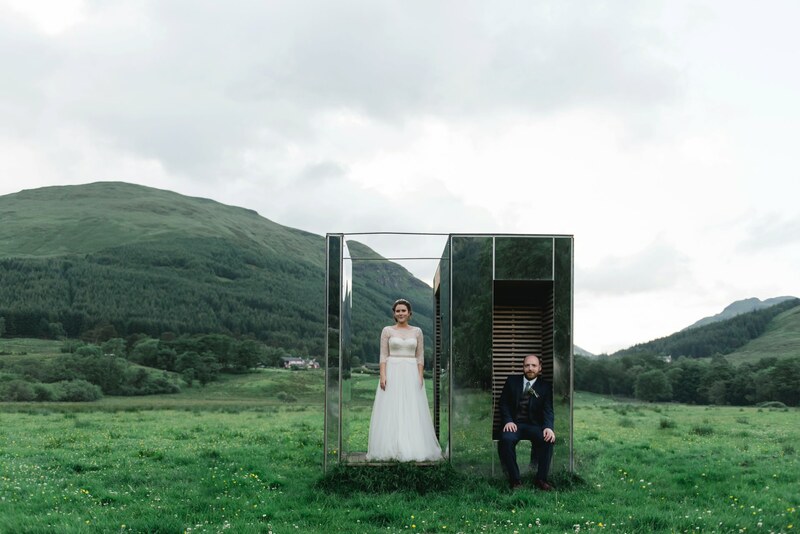 We managed to make the landscape around Loch Voil and Loch Doine and the mirrored architectural installation. 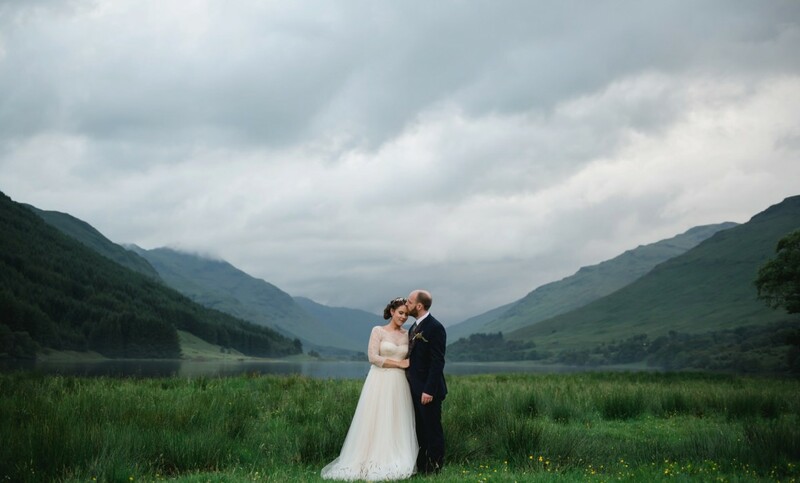 What you can’t tell in the photographs is how awful the midges were, but if you’re determined you will get the wedding photographs you really want. Just maybe pack a pair of wellies and an umbrella. Make up was by the very talented Kate Elliot Muir. Head over to my featured work page where you can check out more of their beautiful details. 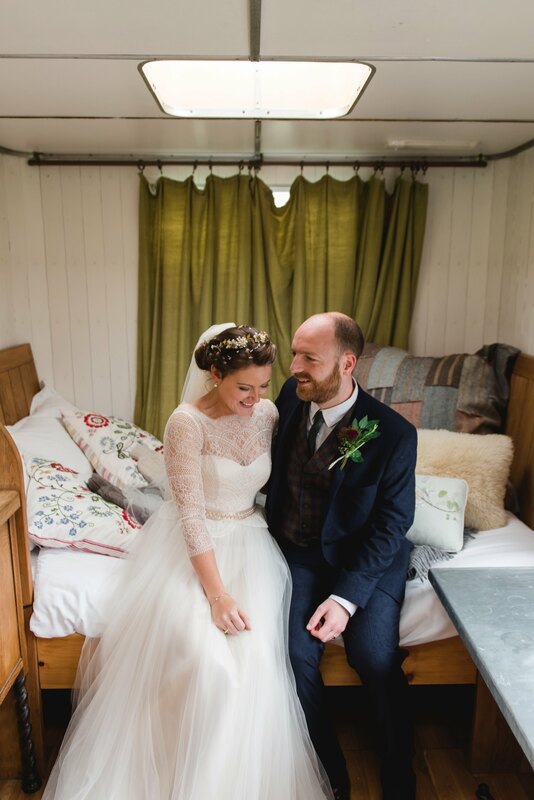 Emma & Mark’s Monachyle Mhor Wedding.